Hello everybody, this is our GTA Online crew. 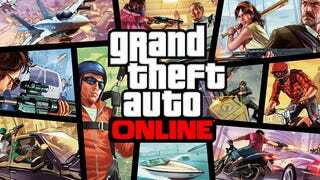 GTA Online is coming out tomorrow and before it comes out I thought I should make a post (trying t0) figure out how things will work and stuff. First off, you may have noticed our crew has no hierarchy, but there are positions to be filled. So let me know which position you would like and I'll put you there (but be warned, with great power comes great responsibility, please don't abuse it). Also, I'll make a post every week discussing the situation of the crew and agreeing times to meet up and do stuff (like rob banks and liquor stores). Of course, you can show up any time and hang out with whoever's there or agree times yourself. But for that, we'll need to agree on a time to meet up. So, when do you want to play GTA this week?